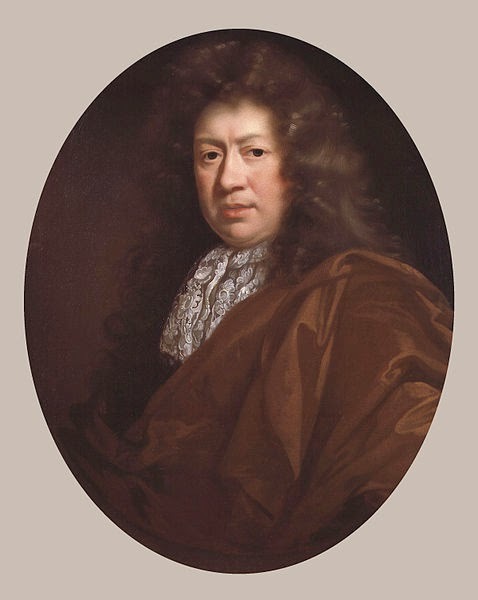 Today marks the anniversary of the death of Samuel Pepys, an icon of the long 18th century. Remembered now for his remarkable diaries, in his lifetime he was celebrated for his work at the Naval Office and though he endured brief imprisonment in his fifties, the reputation of this formidably-connected man remains untarnished. Following a three month prison sentence in 1689 for suspicions over his Jacobite leanings, Pepys decided that the time had come to retire. Nearing his sixtieth year, he enjoyed a peaceful life in his home in York Buildings, entertaining friends and spending long and happy hours absorbed in his library and his plans to write a history of the Navy. Although that work was never completed he passed an enjoyable few years living life at his own pace. Gradually though Pepys found his health in decline until it reached the point where he could no longer live alone. At the turn of the century Pepys packed up his York Buildings rooms and took up residence in Clapham, in the home of his good friend and former clerk, Will Hewer. Here he lived out the final years of his life, cared for by Hewer and Mary Skinner, a cherished and longtime friend of the elderly diarist. It was in his Clapham home that Pepys died, surrounded by those most precious to him. Samuel Pepys was laid to rest in the family vault at St Olave in the City, the church where he had worshipped so many times throughout his remarkable life. I thought he had a wife??? He did indeed; she died in 1669 but even during her lifetime, Pepys had many liaisons! One of my favorite people, Catherine. His accounts of the Great Plague and the Great Fire are remarkable.